"Beck Arnley Transmission Mount --. Series : Beck Arnley Transmission Mount. Notes : Automatic Transmission Mount. Condition : New. Therefore all implied warranties that may apply to your part are limited to the duration of this written warranty. "DEA Motor Mount --. Material : Steel and rubber. Product fit : Direct Fit. Color/finish : Black. Therefore all implied warranties that may apply to your part are limited to the duration of this written warranty. Front Engine Mount for NISSAN PATHFINDER INFINITI QX4 Protier Industries LLC: Our mission is to bring excellence to the automotive world. Go pro with Protier. Air Springs |Coil Conversion Kits |Transmission Mounts |Engine Mounts |Strut Mounts. "Westar Motor Mount --. Condition : New. Therefore all implied warranties that may apply to your part are limited to the duration of this written warranty. Each warranty gives you specific rights, and you may have other rights which vary from state to state. Infiniti QX4 1997-2003 V6. Nissan Pathfinder 1996-2004 V6. Engine Mount Set. 2 Engine Mount (Left & Right). Fits to the following models. OUT OF A 1998 PATHFINDER WITH A 3.3L ENGINE & AUTO TRANSMISSION. MAY FIT OTHER YEARS MAKES AND MODELS ?. CHECK WITH THE DEALER. BEFORE YOU BUY IT. YOU ARE LOOKING AT ONE USED PASSENGERS SIDE MOTOR MOUNT / DIFFERENTIAL. MODEL # SM0020B. INFINITI QX4 97 98 99 00 01 02 03. FITS: NISSAN PATHFINDER 96 97 98 99 00 01 02 03 04. Front Strut Mount Bearings only( Drive and Passenger Side ). Formulated Out Of “OE Rubber Raw Material Formula”. Front Engine Motor & Trans Mount 3PCS. for 1996-2004 QX4 Pathfinder 3.3L Auto. 1997-2000 Infiniti QX4 3.3L For Automatic Trans. 2001-2003 Infiniti QX4 3.5L For Automatic Trans. 1996-2000 Nissan Pathfinder 3.3L for Automatic Trans. Engine Motor & Transmission Mount Set 3PCS. for 1996-2004 Nissan Pathfinder 3.3L. 1996-2000 Nissan Pathfinder 3.3L. 2001-2004 Nissan Pathfinder 3.5L. 1 x EMT8322 / A6381 / 8322 / EM-8322 - Transmission Mount. 3.3L Engine 4WD - Auto Trans. 9038: Transmission Mount. This Mount Set has 1 parts: Z. · Custom or special orders. (usually within 72 hours of receipt). Professional installation may required. (Manual Trans Mount 9011 fits 97-00 Nissan Pathfinder 3.3L-V6 Protier Industries LLC: Our mission is to bring excellence to the automotive world. Go pro with Protier. Engine Mount Sets ). Strut Mount Sets. 8311: Front Left Motor Mount. - 8311: Front Right Motor Mount. This Mount Set has 3 parts - 9038: Transmission Mount. · Custom or special orders. (usually within 72 hours of receipt). EMT9038 / A6371 / 9038 / EM-9038. 1997-2003 Infiniti QX4 All Engines for Automatic Trans. 1996-2004 Nissan Pathfinder All Engines for Automatic Trans. Engine Mount - Transmission Mount. Product Code / Interchanges. 1999-2002 Nissan Urvan 2.4L. - 2001-2003 Infiniti Qx4 3.5L. - 1996-2000 Nissan Pathfinder 3.3L. - 2001-2004 Nissan Pathfinder 3.5L. Transmission Motor Mount. 1997-1999 Infiniti QX4 Base Sport Utility 3.3L. Shocks & Struts. 1996-1999 Nissan Pathfinder LE Sport Utility 3.3L. 1996-1999 Nissan Pathfinder SE Sport Utility 3.3L. 1996-1999 Nissan Pathfinder XE Sport Utility 3.3L. 1996-2000 Nissan Pathfinder 2WD 3.3 L. -6381: Transmission Mount. -6382(2): Front Right Engine Mount. Bundle Item #B277. All vehicles: Manual & Automatic. 1997-2000 Infiniti QX4 3.3L. Position: Front Right or Left Engine Mount. - 1996-2000 Nissan Pathfinder 3.3L. - Labor or Installation Cost or any other cost associated with the failure of the item. For any product, sale or service inquiries, call us. GP9640 / A4314 : Transmission Mount. 2000-2004 Nissan Xterra 3.3L 2WD. 1996-2000 Nissan Pathfinder 3.3L 2WD. 2001-2004 Nissan Pathfinder 3.5L 2WD. 2000-2004 Nissan Frontier 3.3L 2WD. Fits 96-04 Nissan Pathfinder/Frontier/Xterra 3.3L 3.5L 2WD Trans Mount. 3.3L Engine 2WD. 8322: Transmission Mount. This Mount Set has 1 parts · Custom or special orders. (usually within 72 hours of receipt). Professional installation may required. 1997-2000 Nissan Pathfinder 4WD 3.3L. -6371: Transmission Mount. For any product, sale or service inquiries, call us. Our Warranty does not cover Our warranty covers the following -6382(2): Front Right Engine Mount. Warranty Type: Manufacturer Warranty. WARRANTYWarranty Duration: 1 Year. Part #: 104-1598. 8311: Front Left Motor Mount. - 8311: Front Right Motor Mount. This Mount Set has 2 parts: ZZ. · Custom or special orders. (usually within 72 hours of receipt). 2001-2003 Infiniti QX4 V6 3.5L 2WD Manual & Automatic. -1996-2000 Nissan Pathfinder V6 3.3L 2WD Manual. -2001-2004 Nissan Pathfinder V6 3.5L 2WD Manual. -4787: Transmission Mount. -2000-2004 Nissan X-Terra V6 3.3L 2WD Manual. 1997 - 2000 Infiniti QX4 3.3L. 1996 - 2000 Nissan Pathfinder 3.3L. 1 x EM-8311 : Front Left or Right Motor Mount. Accident or collision. Misuse or abuse. Vehicle fittings are provided by product manufacturers and therefore may not be exact. Item Description: 8311 Engine Mount For Infinity Qx4 Nissan Pathfinder Position: Front Left/Right Compatibility: --- Infinity Qx4 00/97 V6-3.3L --- Nissan Pathfinder 00/96 V6-3.3L Domestic Shipping Your order will be shipped within 1 business day after the payment has been received and cleared. It usually takes 2-10 business day for the package to arrive once it has shipped. The order will be send to the address provided by Paypal, please make sure you have the correct address. In case the package is send to an incomplete address and returned, we will resend it, buyer pays shipping. Payment Payment must be received immediately. Return/Refund Policy We will only give refunds/returns under the following circumstance The item is broken, in that case you will need to send it back, buyer pays shipping. You received the wrong item. 1997-2000 Nissan Pathfinder 3.3L. - 2001-2004 Nissan Pathfinder 3.5L. Transmission Motor Mount. Single Item #1397. All vehicles: Manual 4WD. Interchange Part Number : 113201W200, 104-1609, 9011, B9011, 31-9011, A7322. Part Numbers: 102234, 104-1609, 113201W200, 1397, 31-9011, 3400-501359, 629011, 9011, A7322, B9011. We use only the highest grade rubber and steel designed specifically for your application, and apply a finish that will not only enhance the appearance of the mount, but will also help to extend the life of the mount. Part Number: A7322. This part generally fits Nissan vehicles and includes models such as Pathfinder with the trims of LE Sport Utility 4-Door, SE Sport Utility 4-Door, XE Sport Utility 4-Door. The engine types may include 3.3L 3275CC V6 GAS SOHC Naturally Aspirated, 3.5L 3498CC V6 GAS DOHC Naturally Aspirated. 1997-2000 Infiniti QX4 3.3L. Position: Front Right or Left Engine Mount. - 1996-2000 Nissan Pathfinder 3.3L. Front Engine & Trans Mount 3PCS. 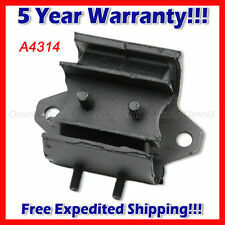 for 96-04 Infiniti QX4 / Nissan Pathfinder 3.5L. 1997-2000 Infiniti QX4 3.3L For Automatic Trans. 2001-2003 Infiniti QX4 3.5L For Automatic Trans. 1996-2000 Nissan Pathfinder 3.3L for Automatic Trans. Interchange Part Number : A6382, 8311, 104-1165, 230 38088 673, 31-8311. Part Numbers: 102071, 104-1165, 2010-311930, 230 38088 673, 270-3267, 31-8311, 608311, 6382, 8311, 9529, A6382, B8311. We use only the highest grade rubber and steel designed specifically for your application, and apply a finish that will not only enhance the appearance of the mount, but will also help to extend the life of the mount. Smooth out your ride by installing this Anchor Auto Transmission Mount, designed to assist in the optimum performance of the entire automatic transmission system. Sixity Auto Direct stands for value, selection, and quality. A4314: Transmission mount 2wd. Price listed is for one piece mount. This warranty does not cover Misuse or abuse. Improper installation. Accident or collision. This warranty does not cover failures due to. Driveshaft center support bearing fits 1987 - 1995 Nissan Pathfinder with 4x4 4WD. Photos andproduct numbers are representation of product interchangeable NUMBERS. Transmission Mount for NISSAN PATHFINDER INFINITI QX4 Protier Industries LLC: Our mission is to bring excellence to the automotive world. Go pro with Protier. Air Springs |Coil Conversion Kits |Transmission Mounts |Engine Mounts |Strut Mounts.